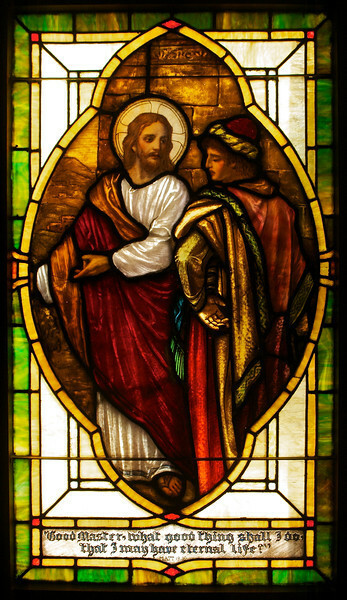 This window illustrates the parable of the rich young man who comes to Jesus to ask what he must do to be saved. It is based on a painting. I love the rich colors in this window. Close-up views of the details are stunning.